I can imagine that, having listened to this recording, some reactionary writers might write that the sounds here are more to do with cockroaches fornicating than music. It takes tremendous courage to play the way these three musicians do. Sensitive ears, however, will decern a lot of highly original and totally unique music performed on a very unusual combination of instruments. 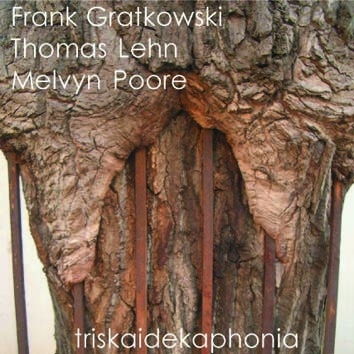 Frank Gratkowsi - clarinet, bassclarinet, contrabass clarinet, Thomas Lehn - analogue synthesizer, Melvyn Poore - tuba, euphonium.